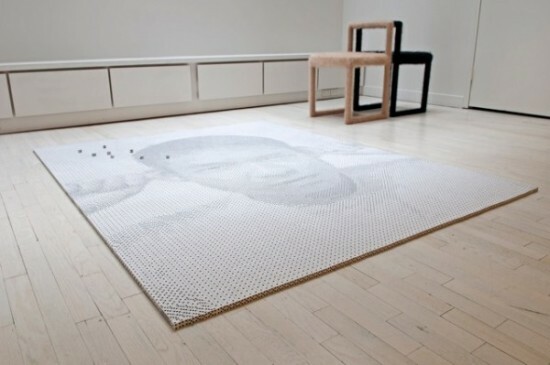 To commemorate the death of his friend, Canadian artist and designer, Tobias Wong, Frederick McSwain has created a giant portrait of him, from 13,138 dice. The idea of a die itself was appropriate—the randomness of life. It felt like [a medium] he would use. 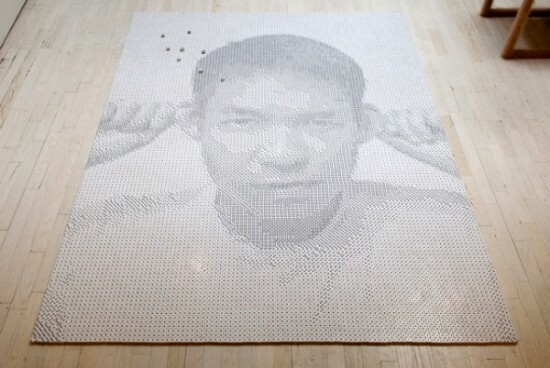 Because [Tobias] was a very street-level force, I thought it was appropriate [to install] the portrait on the floor. 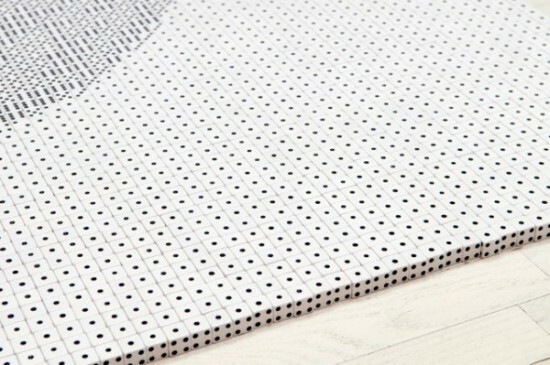 Its not something I wanted to suspend on the wall; I wanted it to be right there on the floor where you almost interact with it. The idea of every decision you make and everything you’ve done in your life, defines who you are. All of those days symbolically makes up the image of Tobi.